Great SEL starts with consistent expectations. Schoolwide rules help get all of your teachers on the same page, which is important in helping kids transition seamlessly throughout their day. 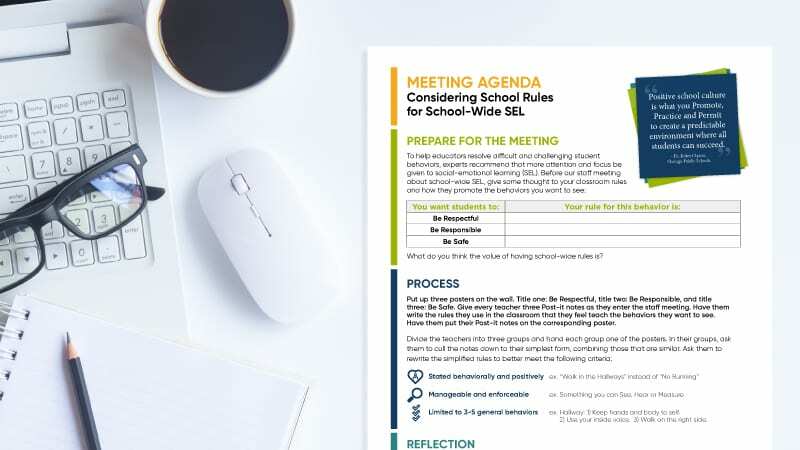 We’ve teamed up with the folks at Boys Town to develop this fantastic staff meeting guide for developing schoolwide rules. 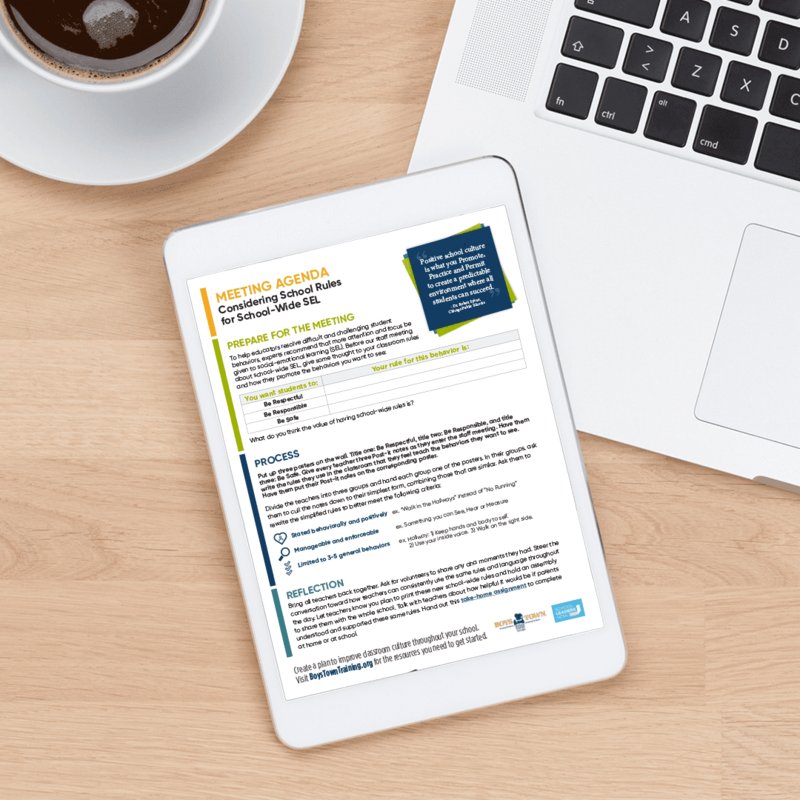 The planning and resources are right here waiting for you to print and use during your next staff meeting. An activity for you and your staff to do that gets you prepared for the meeting. A process to actively engage everyone and make this a productive staff meeting. And finally, a reflection (and student take-home assignment) designed to help all community members support strong schoolwide rules. Yes! Please send me news and offers from Boys Town.